Handmade musical instruments featured at art center. 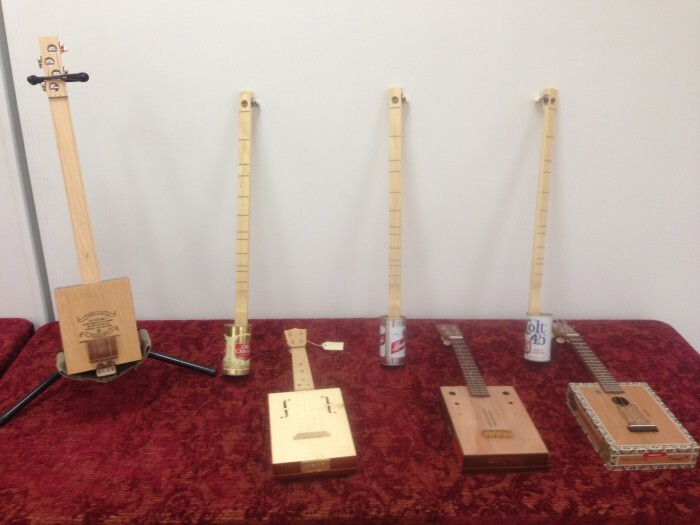 LUDINGTON — The Ludington Area Center for the Arts will host a Handmade Instrument Exhibit through January 30, with a reception December 11, from 5 to 7 p.m. The center is open Thursday-Saturday from noon-5 p.m. All LACA exhibits are free and open to the public. This exhibit features handmade instruments by Michigan artists Chester Winowieck, Carl Fish, Jon Erickson, Loyde Durham, Nelson Wood, Jason Morgan, Silver Street Guitars, and more. A variety of handmade instruments are on display including cigar box guitars and ukuleles, ceramic shakers, and various drums. Many of these instruments are available for sale.